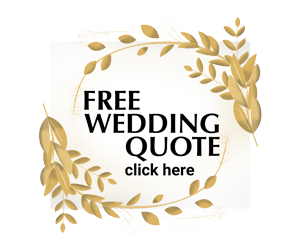 Get your Free Wedding Quote! Dreams come true in our 14,000 square foot, mansion-style Clubhouse, with our magnificent coastline views and our dedication to uncompromising service. We would be honored to host all of the events surrounding your wedding, including the rehearsal dinner, the bridal shower, golf outings, and of course, the ceremony and reception. Our catering director and professional staff will help take the stress and worry out of planning your occasion. They will help create an agenda for your event and will customize menus that will truly leave a lasting impression on your guests. Breathe easily knowing that your family and friends are being cared for with the greatest attention to every detail. We handle our banquets professionally and thoroughly. Our focus? Providing outstanding service and developing food and beverage creations that are imaginative, fresh and delicious. Our facilities and service are topped only by our desire to meet your needs and exceed your expectations on your special day. We offer a complete range of banquet amenities and services. Let us cater to your every need. 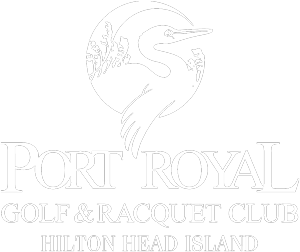 At The Heritage Golf Collection on Hilton Head Island, we offer professional consultation, numerous catering options featuring fabulous cuisine, and an ambiance like no other. With buffet or plated dining choices our wide selection of delicious menu options is sure to indulge every palate. The culinary teams at the Heritage Golf Collection prepare delectable gourmet menu options that will surpass your dining expectations, while keeping within your budget. True southern ambiance, superb cuisine and impeccable service make having your event at Heritage Golf Collection a truly memorable experience. But because every wedding is unique, we will customize yours to reflect your individual style and taste. Our catering staff can provide specialized menus for an intimate gathering of 20 to a glorious reception of 200. We focus on creating an atmosphere where you and your guests can completely unwind. Our gracious and seamless service is the perfect balance of friendly and formal, while our culinary creations are imaginative, fresh and delicious. Southern Hospitality is not only a tradition here— it’s our way of doing business. We will make your wedding an affair to remember. Weddings | Receptions | Rehearsals | Private Events & More! The Lowcountry provides the perfect backdrop for your wedding day. Our elegant clubhouse, pristine beach, and award winning chef will exceed your expectations.